Not so much a piece of infrastructure, more a piece of ex-infrastructure! The old Great Western Railway footbridge at Kingham station was replaced by a more modern structure in February 2016. Rather than excavate the base of the columns (which presumably go down quite a distance below the platform surface), the columns were cut off to leave short stumps. 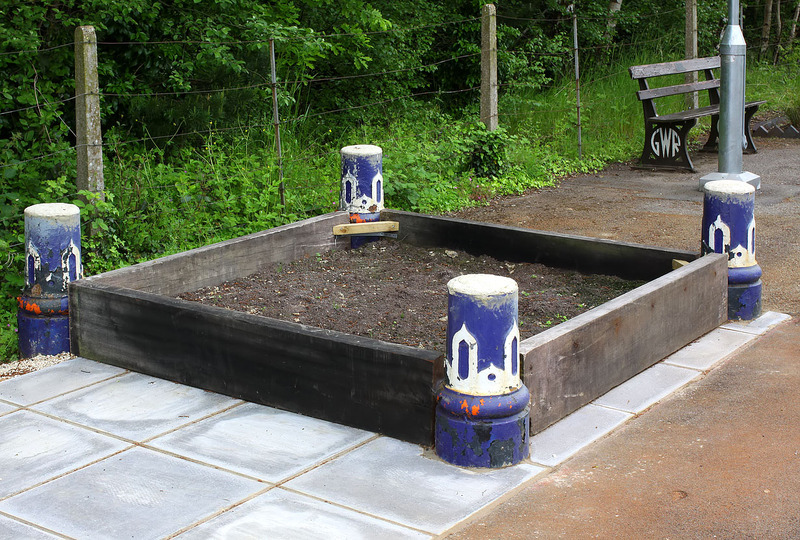 These were then filled with concrete, and timber added to form a flower bed. An excellent piece of improvisation! Picture taken on 28 May 2016.